Join Heidi in her rural studio/home (north of Bellingham, WA, USA) for an intimate session of working with earth pigments. We will learn the process of comparing and making pigment from foraged mineral materials: soil, clay, dirt and rock. Join Heidi for a unique pigment foraging workshop where we will gather natural mineral colors in coastal environments! During the day-long workshop, we will caravan to various coastal and forest walks to forage for common colors and mineral pigments. We will discover beautiful sandstone, glacial clay, green earth, sea-weathered minerals, old coals and more. Great chance to learn about more general types of earth pigments one can find in their local environments. Learn the art of pigment foraging in a beautiful redwood forest setting. Heidi will lead participants on an old mining walk to discover various geologic materials hiding in plain sight. This is a rare chance to also forage for iron, mudstone and limestone (calcium carbonate) pigments, which are an essential base pigment for many creative materials. June 1st, 2019 10am-3pm – very limited spots. 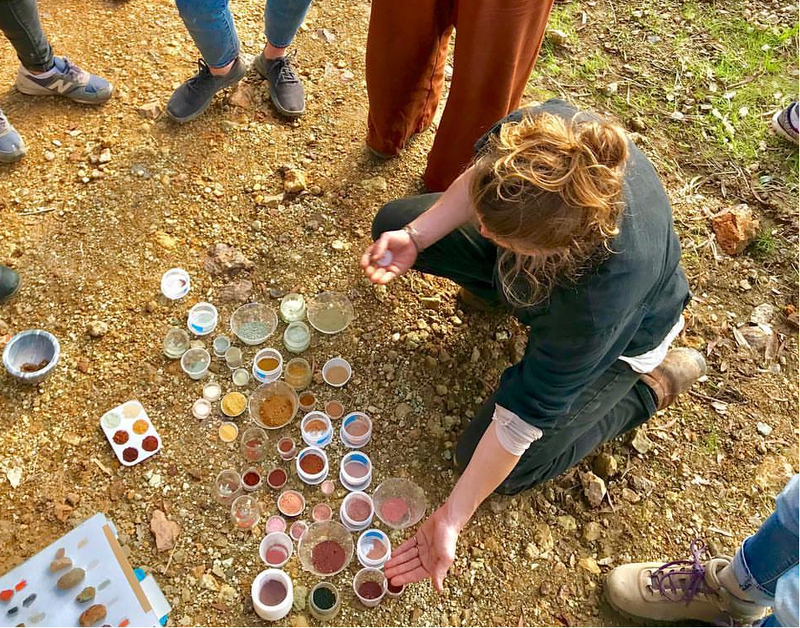 This workshop is for people who want to connect to alchemical levels of our most ancient pigment, ochre or iron oxide. 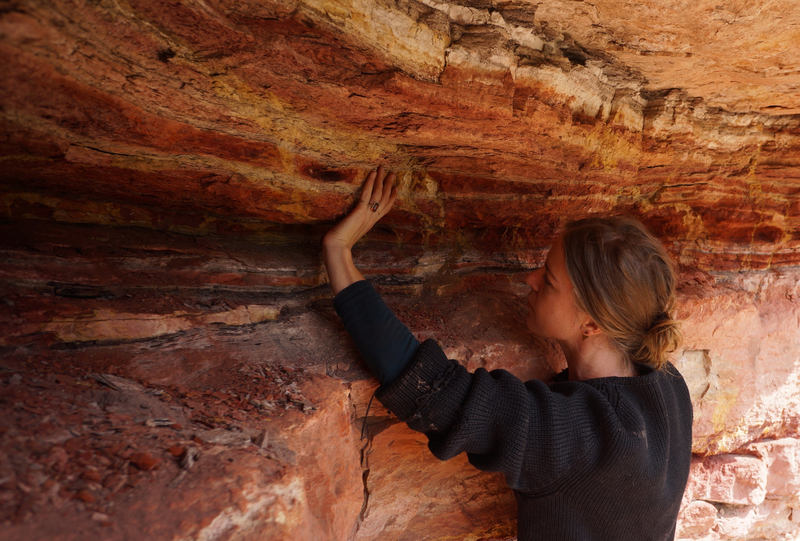 Heidi will guide a small group through the historical, transformative, healing and ancestral aspects of ochres, stones and the alchemy of pigment making. A very rare opportunity to connect directly with common and sacred ochres from around the planet.